Too many persons like the creatives – artiste, music producers depend on only what they are doing ( working with the artist, recording them, shows, selling music) to earn money. One of the traps you might end up in is if the music is not selling and you are not getting shows how are you going to eat or make money. what do you do then? The alternative is to diversify your income. Create by-products of the service your offer. For example, creating a clothing line. Artiste such a Konshens, Vybz Kartel Jay z and others all have a clothing line or another company selling something besides music. This alternative is another source of income, independent of the main income. There are unique ways to add to what you are doing to earn a living. Though primarily the focus may be making money, the bottom line is that you are creating a safety net in order to earn. Consider this, if you are not booked for a show for some time, no music is selling. Ask yourself the question ” what else is there to do to earn an income?” After a while, you’d like to start a business. you have the option to do something else. It may not be a merch line, where you sell branded products. Other options may include speaking engagement, and related events supporting a cause. The staging of a conference addressing how you overcame an issue. You collaborate with other persons, give the event a title, then charge for the event. This is now an income stream. 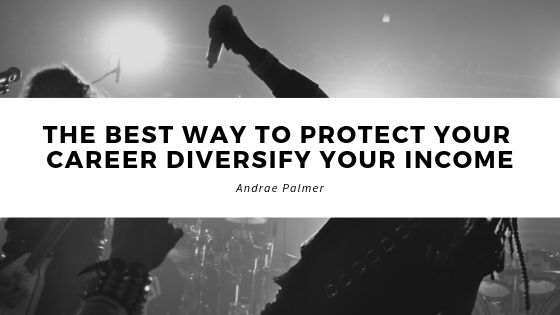 The basic thought is to determine what else can you do to be used to diversify your income. In essence, you do not want to depend on one venture as your source of income as a creative person. Keep in mind there will be down times meaning no shows, no music sales. If you are a producer, you may not get as many clients for a period. You have to find other things to do to fill the void in order to manage. There’s no need for stress or worry when these times come. You are protecting yourself. Living in a country like Jamaica, for example, there’s is the idea that there are limited options apart from merchandise. Instead, you think globally. With the internet, you are able to create small businesses and sell products or services to persons without the worry of storage or establishing a physical location to sell your goods. you have direct access to the consumer. There are services that allow you free access to set up your store. This is just one of several options. You have skills that you can promote and charge for service as a freelancer. Persons will pay for the service. You may be good at marketing and social media persons can pay you to manage their social media page or run campaigns. If you are an accountant you can charge persons to manage their personal or small business accounts or another artist. Branch out, at the end of the day the income that comes in overtime adds up. For instance, you do five shows consecutively and earn fifty thousand ($50000), and at the same time you are managing a social media account for a small business for a period of 6 months. you receive $50,000. Adding the 2 two incomes you have a total income of $100,000 per month. If you have a clothing line that brings in $100,000 that’s an additional $100,000. Evaluating your monthly income all together with what your expenses are, there should be an adequate amount to cover the expenses. You are able to save and expand doing whatever it is. In the event, you decide on doing other things you have a protective base for your income and investment options.